Walter W. Piegorsch earned an M.S. and a Ph.D. Statistics at the Biometrics Unit, Cornell University. He was a Statistician with the U.S. National Institute of Environmental Health Sciences from 1984 to 1993, then moved to the University of South Carolina, Columbia, where he is now Professor and Director of Undergraduate Studies in Statistics. 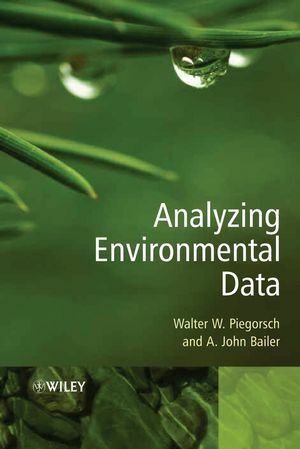 Walter has co-authored or co-edited two books, Statistics for Environmental Biology and Toxicology with A. John Bailer, and Case Studies in Environmental Statistics with Douglas W. Nychka and Lawrence H. Cox. He also serves or has served as a member of the Editorial Board of Environmental and Molecular Mutagenesis and Mutation Research, the Editorial Review Board of Environmental Health Perspectives, and as an Associate Editor for Environmetrics, Environmental and Ecological Statistics, Biometrics, and the Journal of the American Statistical Association. 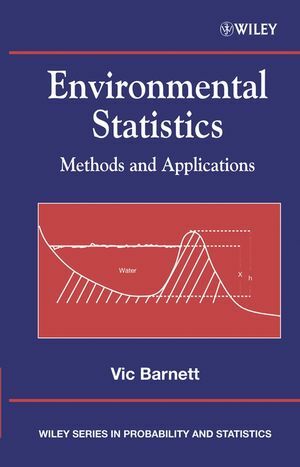 Walter is a Fellow of the American Statistical Association, an elected member of the International Statistical Institute, and has received a Distinguished Achievement Medal from the American Statistical Association Section on Statistics and the Environment. He has served as Vice-Chair of the American Statistical Association Council of Sections Governing Board, as Program Chairman of the Joint Statistical Meetings, and as Secretary of the Eastern North American Region of the International Biometric Society. He has also served and continues to serve on advisory boards and peer review groups for governmental agencies including the U.S. National Toxicology Program, the U.S. Environmental Protection Agency, and the U.S. National Science Foundation. 1.3 Qualitative predictors: ANOVA and ANCOVA models. 3.1 Generalizing the classical linear model. 3.2 Theory of generalized linear models. 3.3 Specific forms of generalized linear models. 4 Quantitative risk assessment with stimulus-response data. 4.1 Potency estimation for stimulus-response data. 5 Temporal data and autoregressive modeling. 5.5 Simple trend and intervention analysis. 6.2 Spatial point patterns and complete spatial randomness. 8 Fundamentals of environmental sampling. 8.1 Sampling populations – simple random sampling. 8.2 Designs to extend simple random sampling. 8.3 Specialized techniques for environmental sampling. A Review of probability and statistical inference.